Administrative Law Judge (ALJ) Darrell Lepkowsky, Office of Administrative Hearings (OAH), Special Education Division, State of California, heard this matter in Fallbrook, California, on August 21, 2013. Attorney Susan B. Winkelman represented the Fallbrook Union Elementary School District (District). Robert Bray, the District’s Director for Special Education, attended the hearing on behalf of the District. No representative appeared for Student. After opening the record and noting that neither Student’s mother (Mother) nor a legal representative for Student was present, the ALJ requested that a District representative telephone Student’s mother to determine if Mother intended to participate in the due process hearing. Although Mother had appeared in this case to request a continuance, which was granted by OAH, she did not appear for any of the scheduled mediations in this matter, did not file a prehearing conference statement, and did not appear at the telephonic prehearing conference that took place on August 16, 2013. The District representative telephoned Mother in presence of the undersigned ALJ. Mother did not answer the phone. Mother’s voice mail was full and therefore the District representative could not leave a voice mail message for her. The ALJ waited 30 minutes after the scheduled time of the hearing to see if Mother would appear or contact the District regarding the due process hearing. Since OAH does not entertain motions for default in special education proceedings, the ALJ informed the District that it was its obligation to present its case-in-chief and meet its burden of proof on the issue presented. When Mother did not telephone or appear after 30 minutes, the ALJ opened the record of the hearing and the District proceeded to present its case. Mother did not appear at any time during the proceedings. The District filed its request for due process hearing on May 31, 2013. On July 2, 2013, OAH granted Student’s motion to continue and set the proceedings for the time period requested by Student’s mother. At the hearing, the ALJ received sworn testimony and documentary evidence. At the close of evidence on August 21, 2013, after hearing the District’s oral closing argument, the ALJ took the matter under submission. 1 The issue in this case has been restated to identify the specific assessment the District wishes to administer to Student as stated in its April 11, 2013 assessment plan. Whether the District is entitled to conduct an educationally related mental health assessment of Student pursuant to its April 11, 2013 assessment plan without consent of Student’s mother? 1. Student is now 14 years old. He recently started eighth grade at the District’s Potter Junior High School (Potter), where he also attended school last year for seventh grade. Student presently qualifies for special education and related services under the primary disability category of specific learning disability (SLD) and the secondary category of emotional disturbance (ED). 2. Student originally attended school in another district. That district evaluated him for special education eligibility when he was in first grade and found Student qualified due to a specific learning disability with visual processing deficits. Student began receiving special education support primarily in the area of language arts. 3. In second grade, Student began attending school in the District. Pamela Cline, a school psychologist who has worked with the District since 1999, met Student after he began fourth grade. Ms. Cline has a master’s degree in counseling psychology. She also has a California credential in school psychology and counseling and is a diplomate of the American Board of School Psychologists. She has over 15 years of experience as a psychologist. 4. At the time Ms. Cline met Student he was generally pleasant and cooperative in class, and could be redirected when he was off-task. However, Student needed support in the classroom and an adult watching him on the playground because Student could be impulsive with his peers and often had to be reminded not to be rough with them. Ms. Cline explained that at the time, Student was still motivated by praise and in spite of his impulsivity, his peers liked him. 5. Student began to evidence more behavior challenges when he was in fifth grade. In October of that year, the District disciplined him for bringing a knife to school. Student was transferred to another District elementary school as an alternative educational placement. Ms. Cline assessed Student at that time for possible emotional disabilities. She also conducted a Functional Analysis Assessment (FAA) of him. Ms. Cline found that at the time, Student’s behavior appeared to be impulsive in nature. His behavior challenges were based on his need for attention from his peers. Ms. Cline found that Student’s aggression appeared to be playful intent because he did respond well to his peers and his behaviors generally were not a problem in the classroom. Student’s challenges stemmed from the fact that when playing with peers, he could become unintentionally too physical with them. However, Student would respond well to re-direction and prompts from adults to check his behavior. 6. Student’s behavioral challenges increased in sixth grade. While his behavior had previously not been problematic in class, in sixth grade Student began to demonstrate moodiness in class, which resulted in behavioral difficulties. During his last month of sixth grade, Student attended school on a modified day due to his behaviors at school. 7. Kathryn McKinney has been Student’s special education teacher and case manager since he began seventh grade at Potter. She has a master’s degree in education, and is credentialed as both a general education and special education teacher. She works almost daily with Student when school is in session. 8. Ms. McKinney and Ms. Cline both explained at hearing how Student’s behavior in seventh grade was vastly different than when he was in elementary school. Student’s moodiness increased substantially. He would be sweet and cooperative one day and sullen, defiant, and aggressive the next. He sometimes seemed to be on the verge of crying. Student began ignoring class instruction and would often put his head on his desk. He began annoying other children. Student became more and more defiant with his teachers and other adults at school. He would ignore them. He would walk away when an adult was trying to speak with him. He frequently talked back to adults. Student also started leaving class without permission. 9. Student’s maladaptive behaviors at school during seventh grade included being off-task during class and generally unresponsive to instruction, drawing graffiti on school doors, throwing papers on the floor, and using inappropriate language. Student would disrupt class by moving furniture around the classroom, whistling during instruction, jumping on desks, and running around the classroom. He annoyed his peers by doing things such as grabbing their backpacks, pulling their backpacks to the floor, and throwing pencils at them. He began to become more physically aggressive with his peers during breaks between class, running up to them, jumping on them, slapping at them and even getting into fights. 10. Between late August 2012, when Student started seventh grade, and mid-February, 2013, Student was involved in more than 30 incidents of misbehavior that resulted in him receiving either a warning, lunch detention, having to attend Friday night school, being suspended from his bus transportation, or having an in-school suspension. 11. Ms. McKinney attempted to address Student’s behaviors. She would have discussions with him as to why he was engaging in the behaviors and making the wrong choices at school. But Student either would shut down and not respond or would escalate his behavior to the extent that Ms. McKinney had to call the school Principal or Assistant Principal to assist her in responding to Student’s behaviors. Student had a behavior support plan which the District staff was implementing, but Student stopped responding to the interventions discussed in the plan. 12. Ms. McKinney also tried addressing Student’s behaviors in his general education classes by adjusting his class schedule, assigning aides to his classes to help prompt him and assist his teachers, and working directly with Student’s teachers to try to determine how best to encourage Student to participate in his education. None of the interventions succeeded in decreasing Student’s maladaptive behaviors at school. Ms. McKinney did all she could to help Student succeed and to show him that she cared about him and his ability to progress at school. However, she just could not reach him. Student continued to become increasingly withdrawn, aggressive, and moody. 13. In January 2013 Ms. Cline conducted a psycho-educational assessment of Student for his triennial review. Her assessment report was completed on February 19, 2013. Ms. Cline’s assessment consisted of reviewing Student’s records, observing him in class during lunch and between classes, interviews with Student’s teachers, with Mother, and with Student, and the administration of several assessment tools. 14. Student did not engage in much maladaptive behavior during Ms. Cline’s observation of Student in his physical education and study skills classes, when he was at lunch or during breaks. However, during Ms. Cline’s observation of Student in his Language Arts class, Student was very withdrawn. He sat with his head on his desk for the majority of the class. 15. Ms. Cline attempted to administer assessment tools to Student over three days. The first day Student was cooperative. He was quiet but responsive to the testing items. Student’s behavior changed dramatically on the subsequent testing days. On the second day of testing, Student took a very long time to walk from his classroom to Ms. Cline’s office. Once there, he would not look at her or acknowledge her for a long time. He was resistant to talking about his school experience and resistant to the assessment process to such an extent that Ms. Cline could not score the assessment she tried to administer to him. On the third day of testing, Student was again uncooperative. Ms. Cline asked him to complete the Millon Adolescent Clinical Inventory (MACI), which is an assessment composed of a rating scale. Student complained about having to do the assessment, and then randomly and quickly marked answers to the questions. Student would not respond to prompts from Ms. Cline to read the questions before answering them. Because of Student’s resistance to the testing process, Ms. Cline was only able to report his results from testing on the first day when he had cooperated with the assessment process. 16. Ms. Cline interviewed Mother as part of the assessment process. Mother indicated that Student was a “good kid” but that he also had behavior issues at home. She stated that Student was moody at home and quickly became angry and defiant. Mother said that Student believed that he was being picked on by others. 17. Student later agreed to complete the MACI after being encouraged to do so by his sixth grade special education teacher. Student’s results on this administration of the MACI indicated that Student had periods of gloomy sad moods with a pessimistic outlook on life. His ratings suggested that Student often resists efforts to make him adhere to socially acceptable standards of behavior. Student indicated that there was tension and discord in his family. His scores also indicated that he was inclined to act out his feeling with minimal provocation, discharging his urges in sudden, rash, and foolhardy ways. 18. Ms. Cline observed in her report that Student’s pattern of responses to the assessment’s social, emotional, and behavioral questions were generally commensurate with observations by school staff. Staff observed Student as moody. He would be pleasant one day and angry, sullen, and withdrawn the next. Staff observed Student picking on his peers, particularly those who themselves had special needs. Student’s behavior ranged from cooperative to oppositional and disrespectful. Student would work well in class one day and then refuse to work the next. Ms. Cline observed that Student’s sudden, impulsive responses were of concern because they interfered with his social and behavioral skills. 19. Ms. Cline found that Student had developed an emotional component to social and behavioral challenges. When his emotions vacillated, his personality changed as well. When Student was in a positive mood, he put forth effort, was cooperative, and responded positively to peers and adult authority. However, when he became moody, he would appear sullen and negative. The number of days Student was moody were increasing and were negatively impacting his ability to benefit from his education. 20. Although Ms. Cline stated that Student had consistently demonstrated a tendency to being impulsive throughout elementary school, she noted that he had become increasingly moody, violent, and sullen. However, Ms. Cline also noted in her report that Student’s behavior was different from that of a child who was consistently oppositional by choice because his behavior at school was so inconsistent. Ms. Cline concluded that Student’s behavior appeared to be impeded by his vacillating emotions that worked in conjunction with his impulsivity. 21. Ms. Cline stated in her report that while Student continued to meet the criteria for an SLD due to attention and visual processing deficits, it was Student’s social, behavioral, and emotional difficulties that were presently posing a bigger obstacle to his educational functioning. Although Student’s IEP had provided him with modifications and accommodations in the classroom, Student was not responding to them. This had resulted in a lack of educational progress for Student during the school year. 22. Ultimately, Ms. Cline found that Student demonstrated a pervasive mood of unhappiness in different settings and extreme and inappropriate responses to normal circumstances that were evident to a marked degree and which had been present for a long period of time. Ms. Cline therefore concluded Student met the educational criteria for a child with an emotional disturbance. 23. In order to address Student’s behavioral needs, Ms. Cline recommended strategies for his IEP team to consider. She recommended that positive behavior supports be provided to Student in the form of a point system that would permit Student to earn privileges based on his behavior and efforts. Ms. Cline also recommended that an area be designated for Student during breaks between classes where he would have sufficient supervision. Additionally, Ms. Cline recommended that Student have a designated area to which he could retreat when feeling overwhelmed or frustrated. Finally, Ms. Cline recommended that the team refer Student for an educationally related mental health evaluation in order to determine how best to support him at school because the present interventions, accommodations, and services were not meeting Student’s needs. 24. Student’s behavior had become increasingly problematic and Student was not responding positively to behavior interventions and supports. The District therefore decided to conduct an updated FAA of Student in order to examine his behaviors. The District hoped to develop new positive behavior intervention recommendations for him. Ms. Cline was tasked with conducting the FAA. 25. The two target behaviors the FAA sought to address were Student’s physical aggression with peers and his eloping from class or other designated areas. Ms. Cline believed that Student acted aggressively with his peers in order to get their attention or approval. She believed Student left his classroom when he wanted to avoid tasks and/or when he was frustrated and unable to cope. 26. Ms. Cline noted that several positive behavioral interventions had previously been attempted with Student. Point charts had been developed to provide feedback for Student’s behavior. Student often lost the charts and did not show interest in the rewards or consequences tracked by the charts. Even when an adult was present to supervise Student during lunch or other breaks, Student would antagonize other children and then deny having done so. Student would sometimes just walk away from the adult supervisor even when directed to remain in one place. Student’s receptiveness to reviews of his misbehavior depended on his moods as did his receptiveness to praises when his behavior was appropriate and his receptiveness to discussing incidents after he had calmed down. 27. Ms. Cline developed specific functional behavior goals for Student that she hoped would replace his targeted maladaptive behaviors. She also developed a plan that she hoped would enable Student to demonstrate desired replacement behaviors and reduce his maladaptive behaviors. The plan Ms. Cline developed also included directives on how school staff should respond in case Student had a behavioral emergency. 28. The District convened a triennial IEP meeting for Student on February 21, 2013. Because Mother did not appear at the meeting, the District rescheduled it for a later date. 29. On February 22, 2013, Student was discovered in a school bathroom with two lighters and a container of marijuana. The District promptly notified Mother that same day of the incident and immediately suspended Student for five school days. Since this suspension brought Student’s total suspensions for the school year close to 10 days, the District determined that it needed to hold a manifestation determination to establish whether Student’s conduct in bringing the lighters and marijuana to school was a manifestation of his disability. 30. The District attempted to convene a joint manifestation determination meeting and triennial IEP meeting for Student on March 1, 2013. Mother was appropriately notified of the purposes of the meeting but chose not to attend. Because Mother was not present, the District proceeded with the manifestation determination but rescheduled Student’s IEP meeting. 31. The IEP manifestation determination team reviewed Student’s recent assessments including input from Mother, reviewed Student’s grades, his attendance history, and his behavioral history. The IEP team members present then discussed the reasons for Student’s suspension. The team concluded that Student’s conduct was not caused by and did not have a direct and substantial relationship to his disability and was not the direct result of the District failing to implement Student’s IEP. The team therefore agreed that Student’s conduct was not a manifestation of his disability. 32. The District rescheduled Student’s triennial IEP team meeting for March 8, 2013. Mother attended the meeting. In addition to other District staff, Ms. McKinney and Ms. Cline participated in this meeting. Also participating was Page McKennett, the District’s Coordinator of Special Education Services, who was present as the District’s administrative designee. 33. Ms. Cline reviewed her psycho-educational assessment and her FAA. She explained that Student met the criteria for special education eligibility under emotional disturbance as well as under his present category of SLD. Student’s teachers discussed the fact that he was not making progress on the majority of his goals. His general education teacher informed that Student was not completing work in her class and was missing 27 assignments. She stated that Student was disrespectful in class and would not follow class rules in spite of a number of accommodations that had been provided to him. Ms. McKinney, Student’s special education teacher, informed the team that Student was also presenting with the same type of behaviors in her classroom. Mother shared that Student demonstrated similar behaviors at home. 34. Student’s IEP team, including Mother, agreed that all the information on the front page of Student’s IEP form was correct. This included the addition of emotional disturbance as a qualifying eligibility category. 35. The IEP team, including Mother, discussed and agreed upon new goals for Student as well as specific accommodations for him in the classroom. 36. The IEP team, including Mother, discussed the continuum of placement and services available for Student. 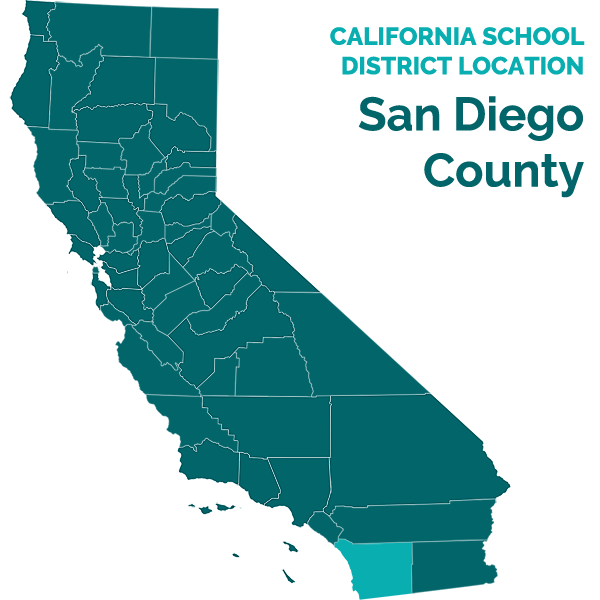 The District proposed placing Student in the Social Emotional Academic Support (SEAS) program run by the Special Education Local Plan Area to which the District belongs. The SEAS program is designed to support students with social, emotional, and academic needs. Mother wanted to view the program before agreeing to placement of Student in it. Ms. McKennett agreed to arrange for Mother to observe the program. 37. In the interim, the District offered Student a program consisting of 240 minutes a day of specialized academic instruction and 225 minutes a week of behavior intervention services. Mother agreed to this interim placement offer. 38. The District also requested consent from Mother to conduct an educationally related mental health assessment of Student. Mother declined to provide consent. 39. Ms. McKennett has a master’s degree in special education. She has been credentialed to teach mild to moderate and moderate to severe special education classes. She was an inclusion teacher and specialist before becoming a special education program specialist. For approximately the last year and a half, Ms. McKennett has been the special education coordinator for the District. 40. Ms. McKennett contacted Mother to schedule a time for her to visit the SEAS program and then participate after the visit in an IEP meeting for Student. The visit and meeting were eventually scheduled for March 15, 2013. Mother observed the SEAS classroom and met some of the students in attendance. At the IEP meeting, the SEAS teacher discussed the program with Student’s IEP team, describing the structure of the program, the positive behavior point system and other behavior, social, and emotional supports embedded in the program, and the process for including the students in general education. The teacher also discussed the academic curriculum and opportunities for Student to participate in individual and group counseling sessions. 41. Mother indicated to the District IEP team members that she thought the SEAS program would be a good fit for Student, but that she wanted to discuss it with him and allow him to first meet the teacher. Mother filled out a transportation form to initiate Student’s transportation to the SEAS program and agreed to bring Student to the school on March 20, 2013. 42. On March 20, 2013, Mother called to cancel Student’s visit to the SEAS program because she did not have transportation to the school. Ms. McKennett and other District staff attempted to contact Mother after the scheduled visit in order to provide her with the registration packet for the SEAS program. Mother did not respond to their phone calls. Mother eventually agreed to meet on April 8, 2013, but then did not appear for the meeting. 43. On April 9, 2013, the District suspended Student for two school days for having acted defiantly to his teachers and for throwing objects at other students. 44. On April 12, 2013, Ms. McKennett wrote to Mother to reiterate the District’s belief that its offer of placement for Student at the SEAS program was necessary to meet Student’s needs. Ms. McKennett included another assessment plan for Mother to consider for the educationally related mental health assessment. The assessment plan was in English. The assessment plan identified who Student was, the assessment the District wished to conduct, and the reasons the District believed the assessment was warranted. The assessment plan also informed Mother that the results of the assessment would be shared with her at an IEP team meeting once the District completed the assessment, and that Mother would be provided with a copy of the assessment report. The assessment plan also informed Mother that no changes in Student’s program would be made without her written consent. 45. Ms. McKennett also included an IEP team meeting notice with her letter with three proposed dates in an attempt to meet with Mother to discuss Student’s placement. Ms. McKennett indicated that the District was willing to meet at any time and date convenient to Mother. 46. Mother did not respond to Ms. McKennett’s April 12, 2013 letter. Ms. McKennett wrote Mother another letter on April 26, 2013 reiterating the District’s belief that Student’s placement in the SEAS program was critical to his success at school. She also reiterated the District’s request that Mother consent to the educationally related mental health assessment. 48. Mother, needed to discuss Student’s circumstances and make those decisions. Ms. McKennett explained that the District’s IEP offer had been based upon Student’s lack of academic progress and the social-emotional needs he presented on a daily basis at school, as well as on his maladaptive behaviors at school. 49. Ms. McKennett wrote to Mother on May 3, 2013, to confirm their April 29, 2013 conversation. She again requested that Mother meet with Student’s IEP team at Mother’s convenience to discuss Student’s progress and his needs at school. 50. Mother agreed to attend an IEP team meeting for Student on May 10, 2013. Ms. McKennett, Ms. Cline, and Ms. McKinney were among the District staff present. Mother expressed to the District that she thought school staff was “picking on” Student. In response to Mother’s concerns, Student’s teachers explained how they were attempting to help Student progress toward his goals but were unable to see positive results because Student’s behaviors were interfering with his progress. The teachers explained that they were spending much class time managing his behaviors rather than on providing instruction to Student and his classmates. They also explained that they had attempted to implement positive behavior supports to try to motivate him but that their attempts were unsuccessful because Student was “shutting down.” Student had regressed in the area of writing because he refused to complete assignments. Student would throw his incomplete assignments in the trash rather than turn them in or take them with him to his special education class so that he could finish the assignment. Student had only completed two of 20 assignments for the trimester. He had regressed in math although math was one of his strengths. He had not made any progress on behavior goals other than minimal progress when he worked at the school learning center. Student’s disruptive behavior was impeding his learning as well as that of his peers. 51. The District team members reiterated their concern that Student’s needs were not being met in his present placement. They again recommended that Student attend the SEAS program. Mother declined to give consent for the placement. The District again requested Mother to give her consent for it to conduct an educationally related mental health assessment of Student. Mother again declined to give her consent. 52. Ms. McKinney was heartfelt at hearing when she expressed her feeling of helplessness at not being able to discern the cause of Student’s problems or how to address them. She felt that Student was making a cry for help with his behaviors and that he needed more intervention than she could provide. Ms. McKinney’s demeanor at hearing demonstrated her concern for Student and her desire to help him succeed. She was an earnest and credible witness. 53. Ms. Cline explained at hearing why she believed an educationally related mental health assessment was necessary for Student although she had already conducted a Functional Analysis Assessment and psycho-educational assessment of him. She stated that the prior assessments indicated that Student had social, emotional and behavior issues, and that they indicated some of the triggers for his behaviors. However, those assessments do not delve into why a child is acting as he or she does. The FAA and psycho-educational assessments are missing the cognitive behavioral piece that could inform the District of why Student was behaving as he does and how best to address his issues in the school setting. The assessment would provide the means to determine what type of counseling goals Student required and the type and level of services needed to meet those goals and assist Student in being able to again access his education. As a psychologist, Ms. Cline opined that Student’s issues had progressed to such an extent that a therapeutic approach was needed to address his mental health concerns. 54. Ms. Cline related that the District contracts with a non-public agency to administer educationally related mental health assessments. The assessors for that agency are appropriately trained and qualified to administer the assessment. 55. Ms. Cline, as did all three District witnesses, evinced a deep concern for Student and worry that without knowing the genesis of his problems, the District would be unable to get through to Student and help him succeed in school. Ms. Cline, as did Ms. McKinney and Ms. McKennett, expressed sincere alarm at Student’s downward spiral over the course of the school year. They were earnest in their desire to find the source of Student’s problems and how best the District could address them. 56. By the end of the 2012-2013 school year, in addition to the two out-of-school suspensions described in Factual Findings 29-32 and 44 above, Student had received approximately three warnings for disruptive and/or defiant behavior at school. He had received approximately 26 detentions to be served during his lunch period for much of the same behavior. Student had also received approximately 10 occasions of Friday night school for either misbehaving in class or being tardy. He had also received two bus suspensions for misbehaving on the bus. Additionally, Student received approximately nine in-school suspensions for conduct that included disrupting class, being defiant, and attempting to cause, threatening, or causing physical injury to others. Determination of Issue: District is entitled to conduct an educationally related mental health assessment of Student pursuant to its April 11, 2013 assessment plan without consent of Student’s mother. 8. The District contends that it has the right and legal obligation to assess Student in all areas of suspected need. It contends that Student’s maladaptive behaviors at school and his corresponding inability to access his education may be because of deteriorating mental health. Student’s mental health concerns are therefore areas of suspected need for him. Student has not presented any contentions either through his mother during IEP meetings or through the administrative due process procedures to indicate why he does not believe that mental health concerns are not an area of suspected need or why the District should not be permitted to administer an educationally related mental health assessment to him. 9. Because Student’s Mother will not consent to the educationally related mental health assessment, the District requests permission to conduct the assessment without her consent. 10. As discussed in Factual Findings 8 through 55 above, Student’s behavior at school during the 2012-2013 school year has indicated a downward spiral in his academic progress and social and emotional health. Student is moody, defiant, aggressive with his teachers and peers, and has shut down to a point where he will not participate in instruction. He will not complete assignments, walks away from class and conversations with adults, and is disruptive in class to the point where he is interfering with his ability to access instruction as well as the ability of his classmates to do so. 11. As discussed in Factual Findings 10, 29-33, 44, and 55 above, during the 2012-2013 school year, in addition to his out-of-school suspension for bringing marijuana and lighters to school, Student engaged in some 50 incidents of defiance, disruptive behavior, and threatened or actual aggression at school. As stated in Factual Findings 8 through 54 above, Student’s teachers and the school psychologist have attempted to address Student’s inability to access his education because of his behavioral issues through the use of positive behavior supports, counseling and discussions with Student, the adjustment of his classes, the placement of aides in his classroom to support Student and his teacher, and allowing Student to have a place to go when frustrated. None of these interventions, modifications, or accommodations has succeeded in diminishing Student’s behaviors. 12. As stated in Factual Findings 51-54, although Ms. Cline has administered recent psycho-educational and functional analysis assessments to Student, these assessments have not addressed the underlying reason or reasons Student’s behavior has deteriorated so significantly this school year. Ms. Cline persuasively testified that only through an educationally related mental health assessment can the District attempt to determine the source and extent of Student’s mental health needs and how those needs should be addressed at school so that Student can once again access his education and progress academically as well as socially and emotionally at school. The District may conduct an educationally related mental health assessment of Student during Student’s normal school hours, without the consent of Student’s mother, either by qualified District staff or qualified professionals with whom the District chooses to contract. Education Code section 56507, subdivision (d), requires that this Decision indicate the extent to which each party prevailed on each issue heard and decided in this due process matter. The District prevailed on the sole issue heard in this due process proceeding.